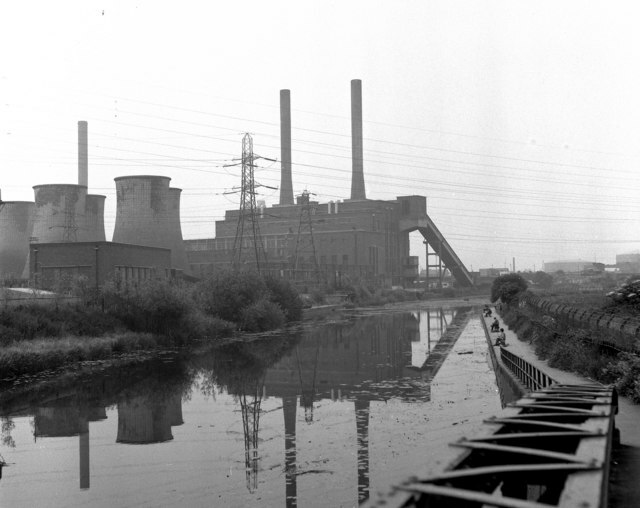 This shows the huge coalfired Freeman's Meadow power station alongside the Leicester Line of the Grand Union Canal. The view from here is now completely changed with the demolition of the powerstation and the building of the new Walker Stadium for Leicester City Football Club. This page has been viewed about 1490 times.